The so-called paradoxes of quantum physics are easily disposed of as soon as one accepts that there are no such things as intrinsically existing particles and their intrinsic properties, but that both particles and properties are relational “observables.” Accordingly, quantum physics does not offer a “description of the outer world,” but rather a prescription about how to make probabilistic predictions within a participatory environment. The latter view (or rather criticism of views) looks quite radical with respect to standard Western Aristotelian ontology; but it looks natural in the context of the Indian-Buddhist concept of Pratītyasamutpāda which underpins Śūnyatā. Special attention will then be devoted to the quantum feature of non-separability, which displays remarkable similarities with Pratītyasamutpāda. 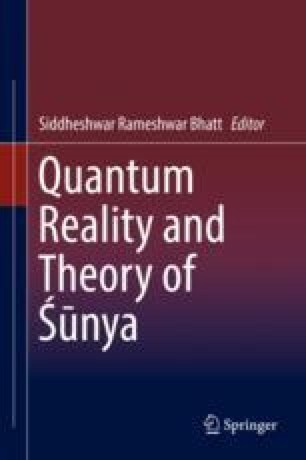 Finally, the meaning of such twofold parallel between quantum physics and Śūnyatā will be discussed. This parallel will be related to the similarity of epistemological situation between knowing a world from which we are not entirely separated and knowing oneself.